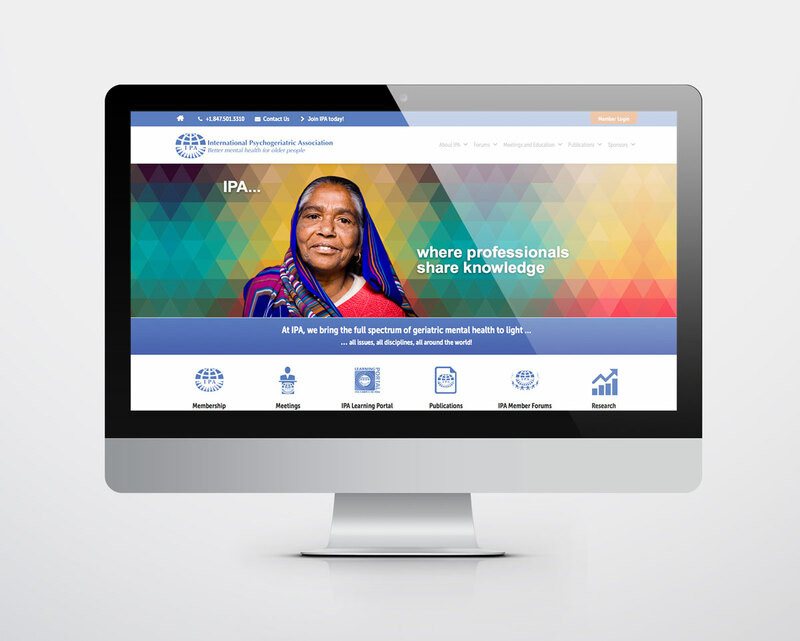 IPA is committed to serving the broad spectrum of issues, perspectives, opportunities and challenges of geriatric mental health around the world. 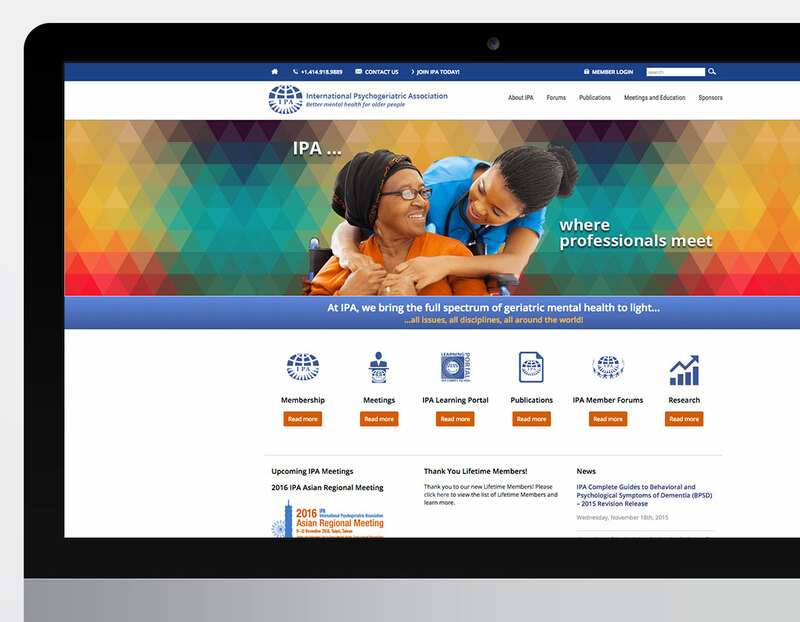 NeigerDesign's concept for the website and collateral print reflects the full spectrum of services and the spirit of connection, collaboration and community. IPA facilitates professionals connecting and collaborating — interacting and working together in the IPA community on research, practices of care and in general, improving the mental health for all older people around the world.